When an ancestor benefited from federal preemption laws, just what exactly was he getting — and why? The Legal Genealogist is off deep into the federal land laws as the result of a reader question — and there will be more to come on that question — but realized quickly that the word preemption itself has very different meanings in the law, and only one of them applies here. So let’s look at preemption in the different contexts where we might come across it as genealogists. • In U.S. law, it can mean “a doctrine in law according to which federal law supersedes state law when federal law is in conflict with a state law.”1 The Constitution makes federal law the supreme law of the land,2 so whenever there’s a direct irreconcilable conflict between laws, the feds win. We’ll come across that occasionally in genealogy, but it’s not the usual issue for us. • In international law, it’s “the right of a nation to detain the merchandise of strangers passing through her territories or seas, in order to afford to her subjects the preference of purchase.”3 In other words, you bring that ship full of salt into our waters, and we make you sell it to us. But not an ordinary genealogical problem, for sure. • In English law, it’s “the first buying of a thing. A privilege formerly enjoyed by the crown, of buying up provisions and other necessaries, by the intervention of the king’s purveyors, for the use of his royal household, at an appraised valuation, in preference to all others, and even without consent of the owner.”4 In other words, it was really good to be King. Especially in times of shortage. And also not the usual issue for genealogists. Unless you happen to be King. It’s that last one that we’re talking about when it comes to federal land laws, of course. The public domain, in this context, is all the land the federal government owned and hadn’t yet given or sold to a private owner.6 And how exactly would someone come to be an actual settler on such land? Easy. It’s when you’re a squatter: “one who settles on another’s land, particularly on public lands, without a title.”7 And if you’ve got Scots-Irish ancestors, as I do, you’ve probably got squatters somewhere in your line. More than once, what the Federal Government did when confronted with squatters, was extend what were called “pre-emption rights” — effectively giving legal recognition to squatter’s rights — and allowed those who’d settled on and built improvements on unsurveyed public lands the right to buy that land before it was offered to anybody else. So don’t be surprised if you come across a preemption claim for your ancestors… and find that what they were doing was exercising squatter’s rights. 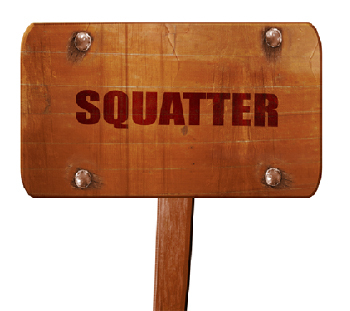 Many of my ancestors were squatters. They were Mormon pioneers who settled in Utah long before any federal surveying was done or land offices opened. One of them began homesteading land that he had already settled on years prior to when the Salt Lake City land office eventually opened. He filed a Homestead claim. Only to be told several years later by the General Land Office (about halfway through the overall homesteading process) that the railroad had asserted Preemption Rights that were senior to his Preemption Rights. So my ancestor ended up having to buy the land from the railroad that he had long been settled upon at a much higher cost than if he had successfully homesteaded it. The land entry file for this homestead claim at the National Archives is very interesting. I can’t imagine what THAT file must look like! There certainly should have been something, and I wonder if it might be in the land file of the person who eventually took up the land. Thanks for this. My ancestor had preemption land in Washington Territory. I wasn’t sure what it meant. While we are on the subject of land. What is erroneously sold land? My ancestor was paid back $48.50 in 1874. This was noted, along with others, in federal document written in the Congressional record (House of Representatives, 45th Congress, 2nd Session, Ex. Doc. No. 39, “An Account of the Receipts and Expenditures of the United States” page 138-140. This came up in Historical Documents GenealogyBank as a result of a surname search of my ancestor. Shoot me a link to the document (you can use the Ask TLG link at the top of the page) and I’ll take a look. In 1825, Congress passed a statute — “An Act authorizing repayment for land erroneously sold by the United States,” 4 Stat. 80 (12 Jan 1825) — which said that any land sold by the federal government where good title couldn’t be delivered had to be repaid. As of the time period you’re dealing with, the statutes said that the payment could be authorized by the Secretary of the Interior. This blog post couldn’t have come at a better time! My ancestors in Harrodstown (Harrodsburg now) Kentucky 1779, had to prove they had been on the land, built cabins and planted a crop. My female ancestor, Mary Hendricks, claimed that she had been on the land since 1776. She got 400 acres plus another 1000 as part of her preemption warrant. I was amazed so many women were claiming land, and there’s no record of a man’s name anywhere. Perhaps she was a widow? I wasn’t sure how the law worked, as some women are claiming land in the names of heirs (I guess their children), but Mary claims the land for herself. I thought women couldn’t own land, so if this was her dead husband’s claim, or her father’s land she inherited, shouldn’t he be mentioned? Kentucky law at the time simply said that “all persons” who had settled on land could claim preemption, getting 400 acres and then buying adjacent land up to 1000 acres. The law didn’t limit it to men, and there’s nothing that says she had to prove a man settled on it. But realistically if she’d been married at the time the warrant would likely have been applied for by the husband.